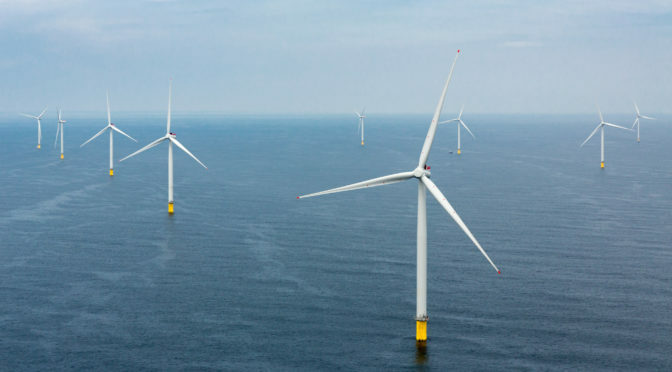 Eolien Maritime France (EMF), a joint venture between EDF Renewables and Canadian energy infrastructure company Enbridge, is announcing that Siemens Gamesa Renewable Energy will now supply turbines for two of its three offshore wind farms in French waters. This announcement follows the decision by GE Renewable Energy, previously the exclusive supplier, to deliver wind turbines for just one of EMF’s projects. GE Renewable Energy will build the Haliade 150-6MW turbines for the first offshore project, which will be launched as soon as all its permits will be purged of any claims. The subsequent two projects will be equipped with Siemens Gamesa turbines of a similar size, while all other aspects of the projects will remain the same. Siemens Gamesa Renewable Energy, which is already an EDF Renewables partner on the bottom-fixed Teesside offshore project in the United Kingdom and on the Provence Grand Large floating wind farm project in France, brings proven expertise in the field. EMF, which is keen to establish a dedicated industry in France, decided to team up with a highly respected partner, which will manufacture its turbines at the plant it intends to build in Le Havre. In April 2012 the French government awarded EMF with the contracts to build the three wind farms off the coast of Fécamp, Courseulles-sur-Mer and Saint-Nazaire with a total of 1,428 MW in capacity. The contracts are crucial for the development of a French offshore power industry and were awarded after extensive consultation and fieldwork conducted over a period of more than 10 years by EDF Renewables and its partners, alongside local contributors, government departments, industry operators, associations and residents. The projects also illustrate the major contribution that renewable energies can make in the battle against climate change. They may be launched once the court proceedings arising from appeals against the permits awarded to build and operate the wind farms have run their course. EMF expects the relevant court rulings shortly. The project will have 450 MW in total capacity. The wind turbines will be located off Courseulles-sur-Mer, over 10 km from the Bessin coast, and will occupy a total surface area of 50 sq. km. The power the project generates should cover the equivalent of the domestic electricity consumption of close to 630,000 people, or over 90% of the Calvados department’s population. The project will have 498 MW in total capacity. The wind turbines will be located between 13 km and 22 km off Fécamp and occupy a total surface area of 67 sq. km. The power the project generates should cover the equivalent of the domestic electricity consumption of more than 770,000 people, or over 60% of the Seine-Maritime department’s population. The project will have 480 MW in total capacity. The wind turbines will be located between 12 km and 20 km off the Loire-Atlantique coast and occupy a total surface area of 78 sq. km. at depths of between 12 m and 25 m.
The power the project generates should cover the equivalent of the domestic electricity consumption of 20% of the Loire-Atlantique department’s population. Enbridge Inc. is North America’s leading energy infrastructure company with strategic commercial platforms that include an extensive crude oil, liquid and natural gas pipeline network, regulated public natural gas distribution services and renewable energy installations. The company safely delivers over 3 million barrels of crude oil via its Mainline network and its Express pipeline. That accounts for around 62% of Canada’s crude oil exports to the United States. In addition, Enbridge moves approximately 18% of all natural gas consumed in the United States, serving key supply basins and demand markets. The company’s regulated public services have approximately 3.7 million retail customers in Ontario, Quebec and New Brunswick. Furthermore, Enbridge owns holdings in installations with net renewable generation capacity exceeding 1,700 MW in North America and Europe. Enbridge (ENB) ordinary shares are traded on the New York and Toronto stock exchanges.